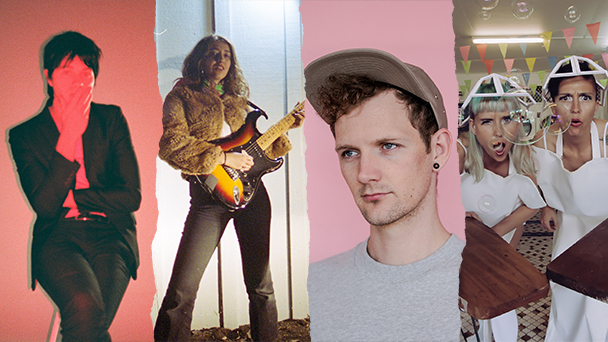 Queensland music body QMusic have revealed The four finalists in the running to take home the 2018 Grant McLennan Fellowship. The fellowship will see a Queensland musician score $25,000 to spend a period of time writing music in Berlin, London or New York. Spencer White, a Brisbane based musician and producer who has spearheaded various musical projects including Morning Harvey for which he is lead songwriter and vocalist. Some of his songs including ‘Smith Street Swap Meet’ have received accolades on US radio. Danny Harley aka electronic producer, vocalist and songwriter The Kite String Tangle who has seen his music generate over 50 million streams. ‘Given The Chance’ from his debut ARIA nominated EP Vessel went Gold, while ‘Arcadia’ was voted at #15 on the 2014 triple j Hottest 100 and his debut album received strong triple j support. Gabriella Cohen, who hails from Gympie, co-produced and recorded her debut album Full Closure and No Details which was shortlisted for the Australian Music Prize. Following a debut US & UK tour in 2016, Cohen signed internationally with Captured Tracks (Mac DeMarco, DIIV) for her new record Pink Is The Colour Of Unconditional Love (2018). The Ironing Maidens are an award-winning electronic duo who adapt real irons and ironing boards into electronic instruments to create breakthrough house beats. They have toured Europe, playing Germany’s famous Fusion Festival and their live show has developed into a site-specific (laundromat) performance piece and accompanying community workshop, toured 16 regional towns in NSW and QLD this year.